Refer Friends and WIN | PowerCore with Power Delivery! Ok, Mom. I joined so you can finally quit texting me now. Considering that this campaign has not yet been shared on social media, it wouldn't surprise me at all if there end up being less than 200 people that even qualify to win. After so many events like these, most people have either already signed up or are tired of getting asked to. The result is few registrations and little overall success on spreading the brand recognition. I finally got my 3rd sign-up. Yay! I have a nintnedo switch and really want to try out power delivery on this (have an international flight coming up too). We will do more creative events in the next few months! 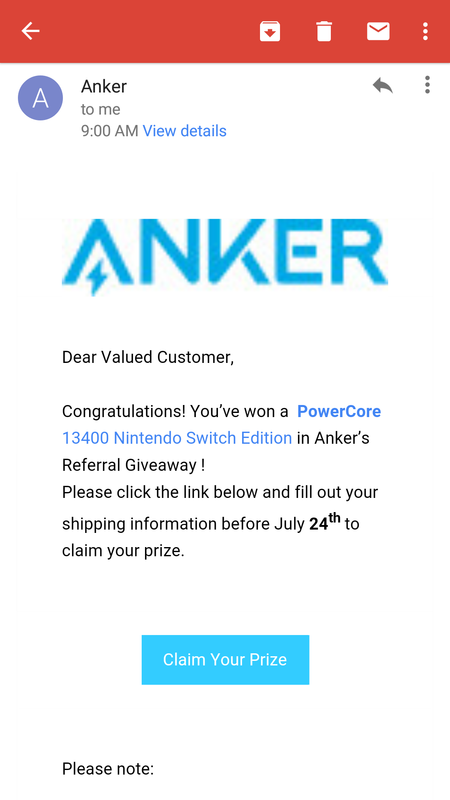 I just received a prize winner email from Anker​ Thank you @AnkerOfficial you have just made my little brother very happy. Now he'll never put down his Nintendo. Thanks neil, I hope Rob and I aren't the only active users to win too. Check your spam folder folks good luck to all. I'm semi active haha, but you guys take it to another level. Crap, I just realized prizes wont be shipped out for a month. That means the address I put wont be my address come then. 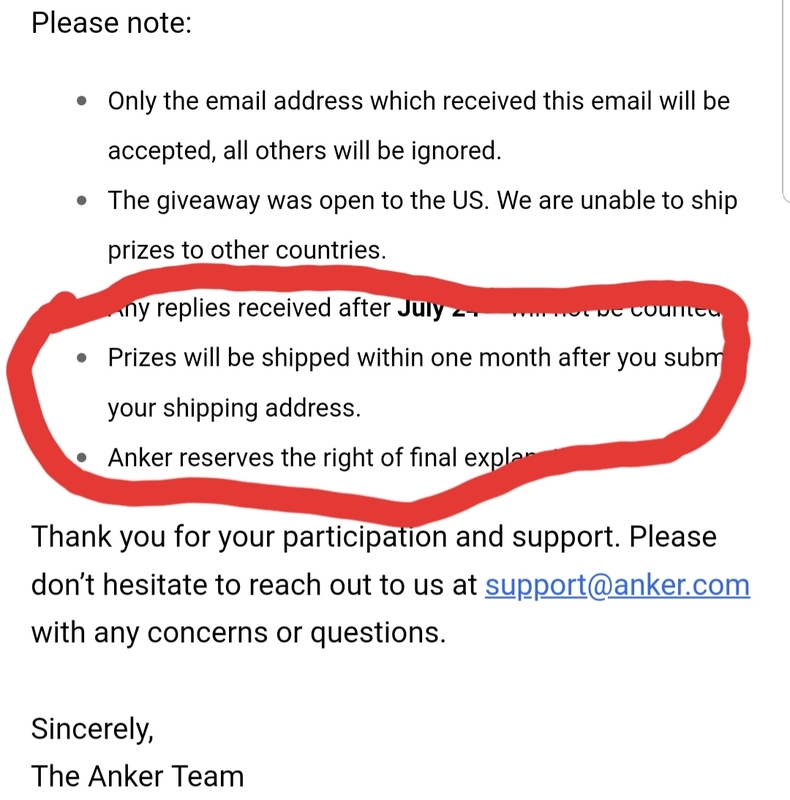 @AnkerOfficial any chance you can help me change the address to have my prize sent to the new house instead?